Nineteen UK engineering graduates have completed a nine-month internship as part of a pilot programme by Wipro. The Indian IT services supplier’s India Gateway pilot programme, which was jointly funded by the UK-India Education and Research Initiative, is a three-month technology induction course followed by six months of on-the-job training with Wipro teams. The 19 graduates travelled to Wipro’s Bangalore campus in August last year to receive on-the-job training in skills such as user experience design, mobile application development and support, and data analytics. Can IT services firms be the answer to the UK's IT skills shortage? 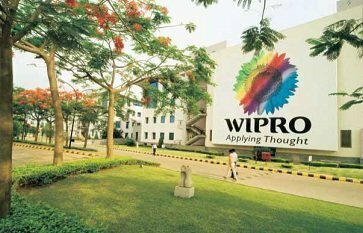 Wipro plans to repeat the programme in the next academic year in the UK. UK-based students with a strong academic record and background in science, technology or mathematics are eligible. They must be engineering graduates or should be completing an engineering degree in the same year as the internship begins. Indian IT companies are often criticised because their business model sees UK IT workers replaced by lower-cost workers from India. But as Indian IT services companies establish more operations in the UK and other European countries, they increasingly require local talent. Wipro chairman Azim Premji offered to take UK students to India for 12 months to be trained up in software, IT and engineering, following a meeting with Prime Minister David Cameron in India in 2010. How they must have laughed in Mumbai when David Cameron gobbled up that offer in 2010. From UKBA freedom of information data, Wipro used 2,044 certificates of sponsorship for migrant workers in 2013 http://www.backthemac.com/spon... 1,903 of those for workers working directly on client contracts but then UKBA rules act as a financial incentive to do this rather than hire or train resident workers so who can blame them.